President Duterte made an assurance for the Overseas Filipino Workers that his administration will work hard for them to have a comfortable life during his term. 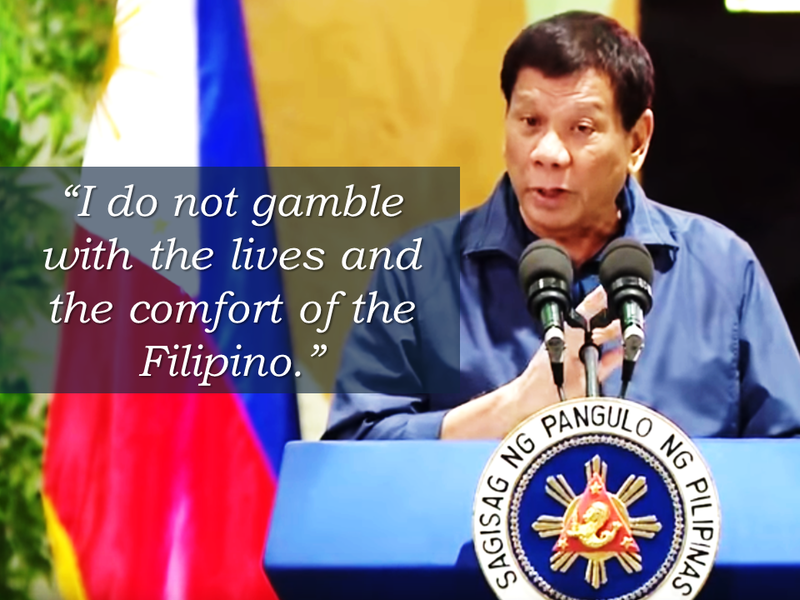 Duterte said in a speech during the 84th anniversary celebration of the Department of Labor and Employment (DOLE) at the Bulacan Capitol Gymnasium that he will not gamble with the lives and comfort of the Filipino. He also said that he had ordered a stop on unwarranted inspections of baggage, especially of returning Filipino workers. There had been previous instances that returning OFWs were harassed at the airport, their balikbayan boxes were opened, or being planted with a bullet without their knowledge. There were also instances that they fall victim of thieves inside the airport. 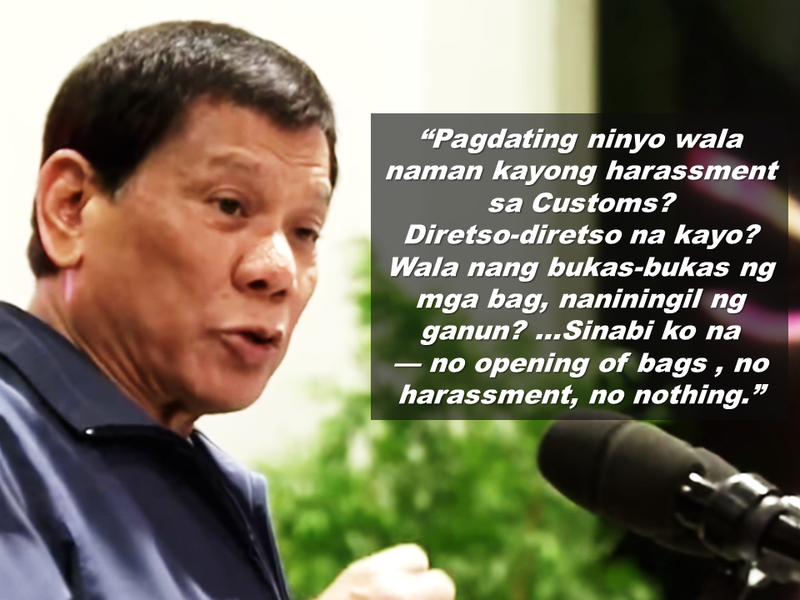 President Duterte reiterated that there will be no such harassments for the OFWs anymore. He urges every OFW to report any harassment made by any officials at the airport and he will make them liable for it.